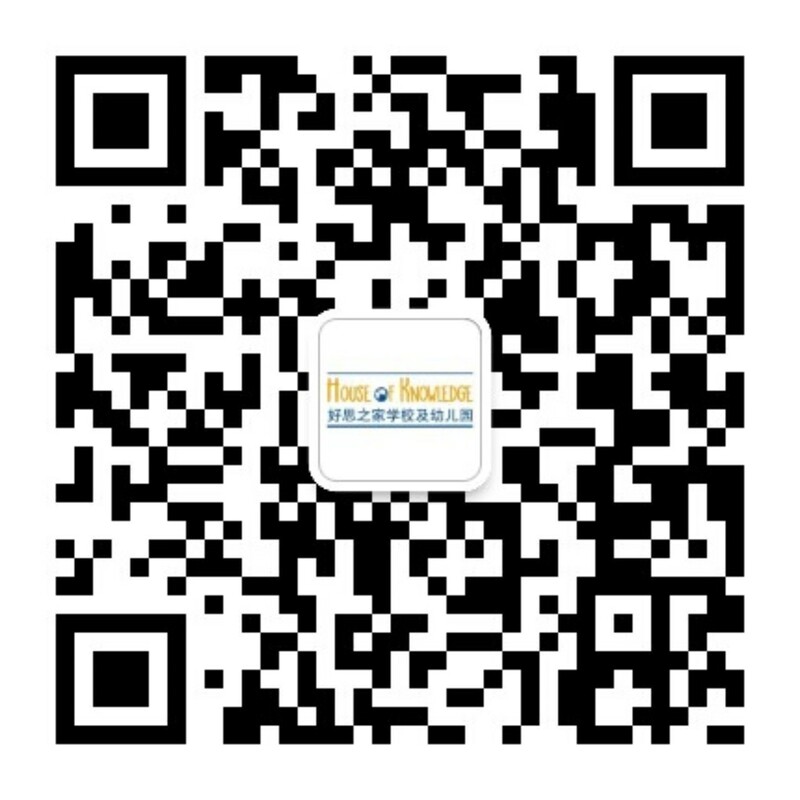 Christmas season is coming! 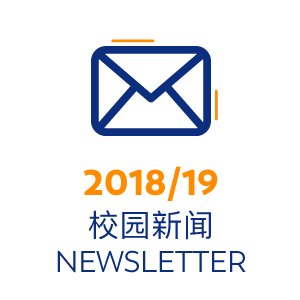 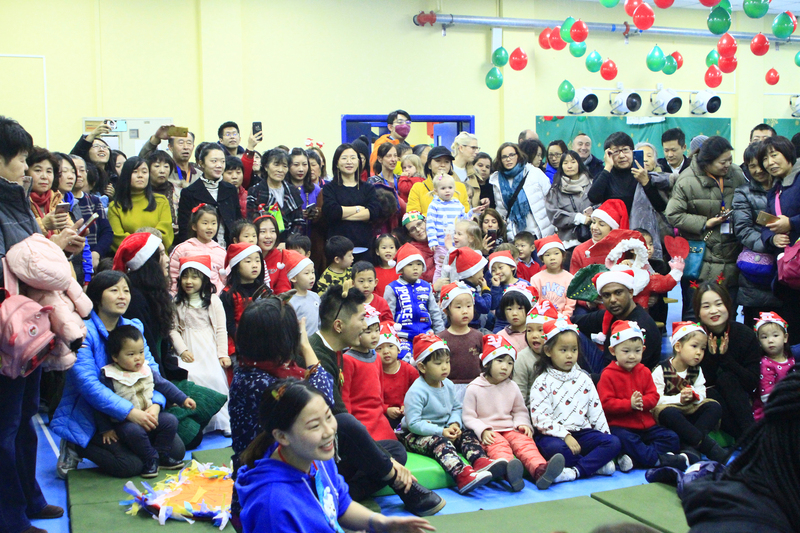 Beijing is aglow with a festive atmosphere, and the House of Knowledge campuses have been transformed into Christmas wonderlands with garlands, a gingerbread house, Christmas songs, stories and games and, of course, the HoK Christmas Tree. 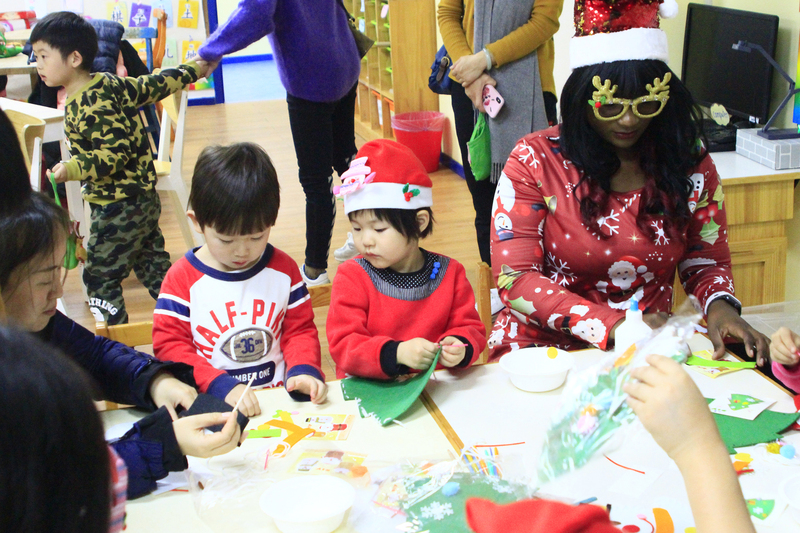 The teachers and students have thoroughly enjoyed preparing for the holiday season throughout December. 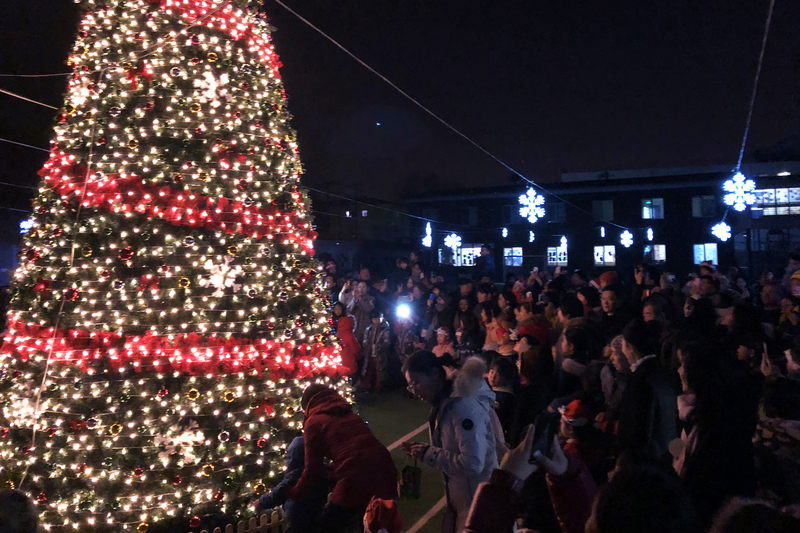 House of Knowledge held the inaugural Christmas tree lighting ceremony at Shunyi Campus this year. 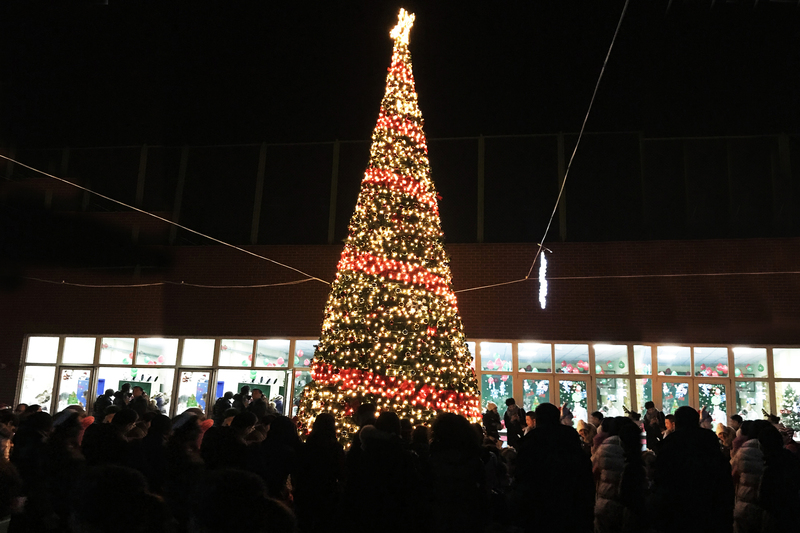 The 8-meter tall sparkling Christmas tree is spectacular and has been admired by all of the HoK community. 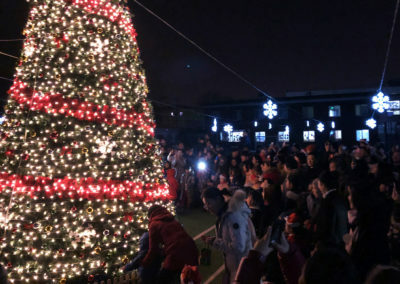 The students with their families gathered in the playground for the Christmas tree lighting. 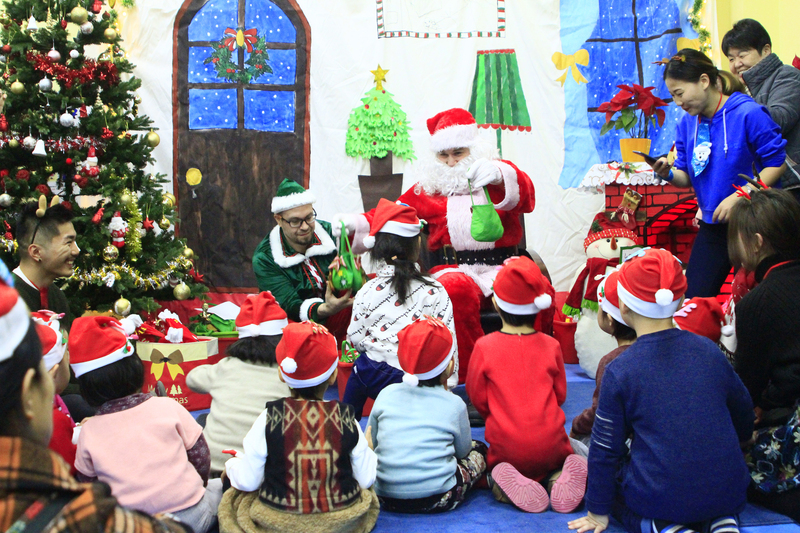 Santa Claus began the countdown, then all families wished each other a Merry Christmas in English, Chinese and German. 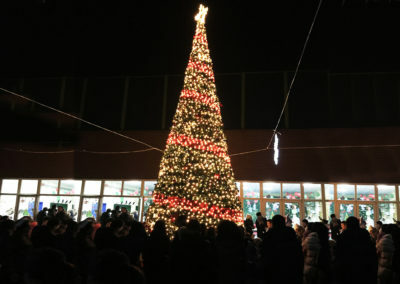 The students cheered, sang and danced together around the Christmas tree. 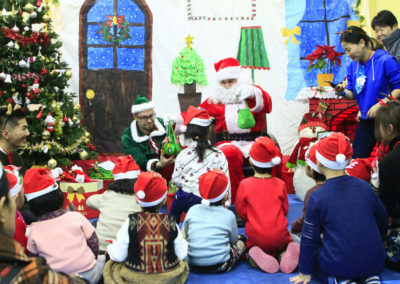 Santa Claus also offered out Christmas blessings to all the children with sweet surprise gifts. The students and teachers of the Chaoyang campus celebrated the holiday with a Christmas themed performance, crafts and games. 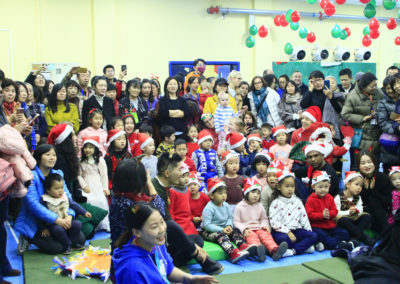 Some of the students performed the classical Christmas songs for their parents: <Santa Claus is Coming to Town>, < Twinkle Twinkle Little Star >, <Rudolf the Red Nose Reindeer>, <Jingle Bell>; some of them exchanged gifts with the classmates; some of them made the Christmas balls, Christmas cards and Christmas snowflakes with their parents. 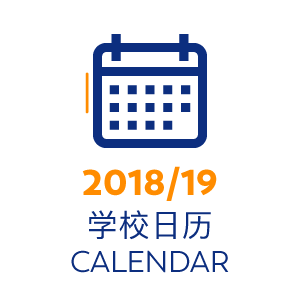 House of Knowledge are blessed to have families from many different cultures who celebrate different holidays traditions, so our students will learn and appreciate the similarities and differences between cultures. 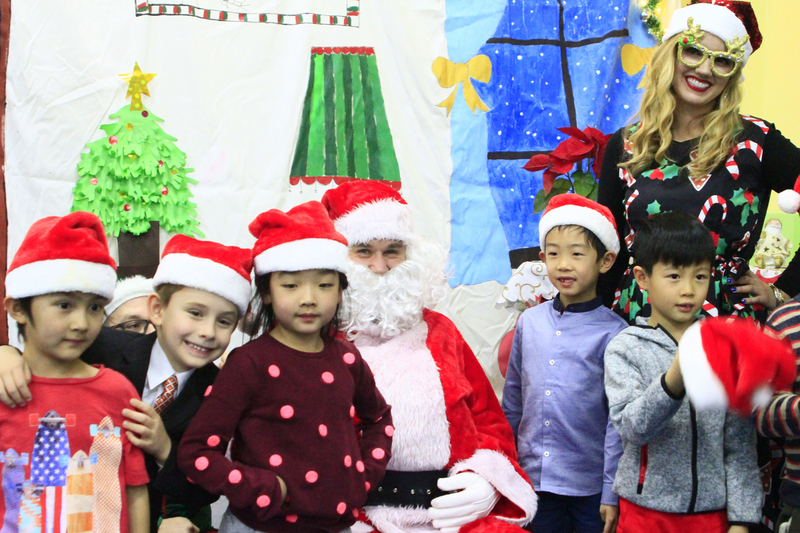 In-keeping with the season of goodwill, our students were encouraged to practice “giving and sharing”. 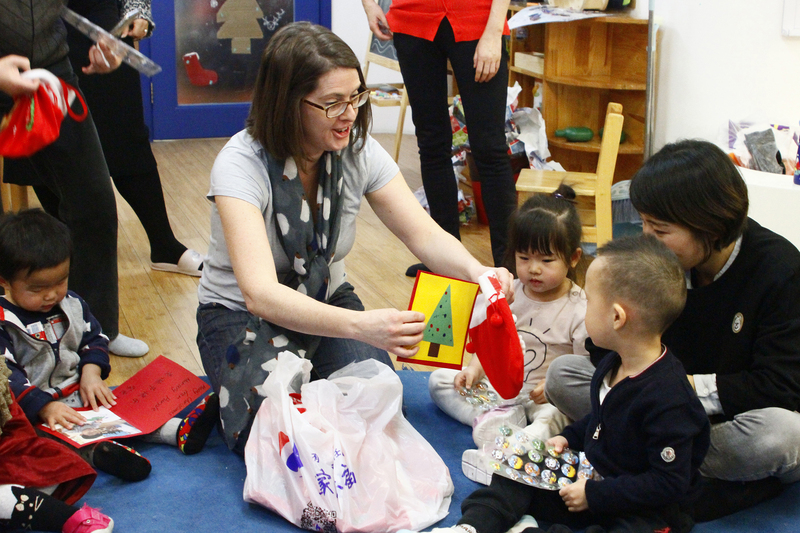 These values are perfectly matched with the HoK Core values – Empathy and Global Mindset.